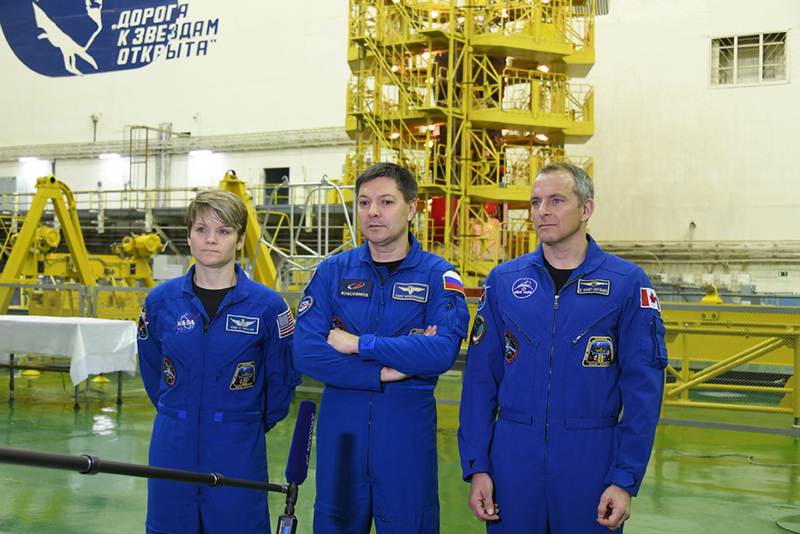 On November 29, in accordance with the pre-launch preparation plan, the main and backup crews of the upcoming long-term expedition to the ISS conducted a second “fitting” – a control inspection of the spacecraft in launch configuration. 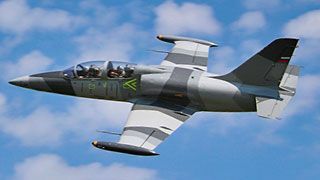 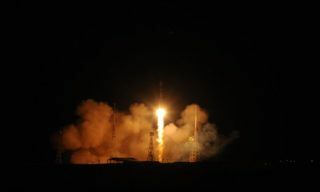 After the introductory briefing, the backup crew members took their places in the ship, familiarized themselves with the placement of the payload and equipment in the descent vehicle and the living compartment, tested the performance of various systems, including a communication system, in a test mode. 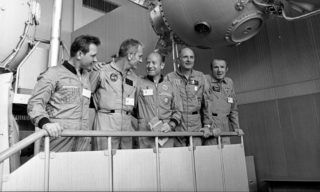 Then the main crew proceeded to the inspection of the ship. 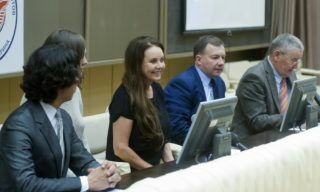 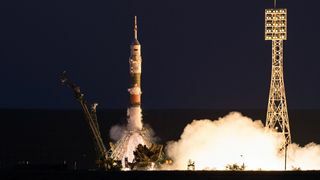 The main crew of the ISS-58/59 expedition includes: Roscosmos cosmonaut Oleg Kononenko, CSA astronaut David Saint-Jacques and NASA astronaut Anne McClain. 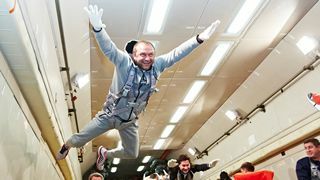 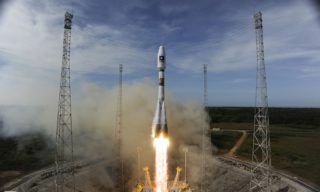 Their backups are Roskosmos cosmonaut Alexander Skvortsov, ESA astronaut Luca Parmitano and NASA astronaut Andrew Morgan. 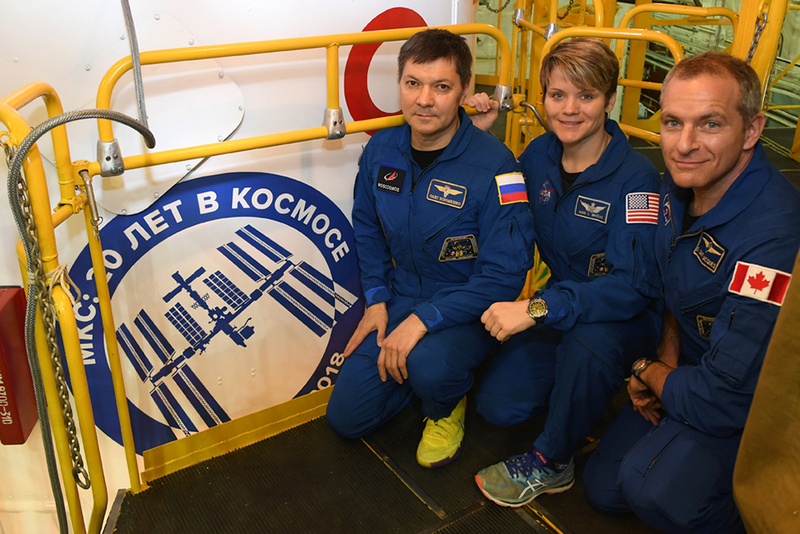 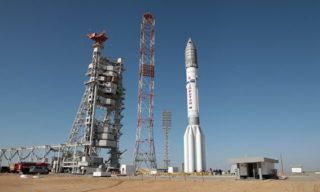 After checking the ship, the crews went to the assembly shop of the RSC “Progress” branch to inspect the “Soyuz-FG” launch vehicle, which on December 3, 2018 will launch the “Soyuz MS-11″ spacecraft into orbit. 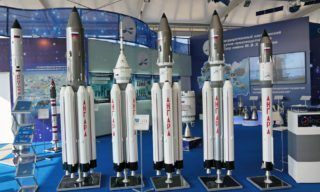 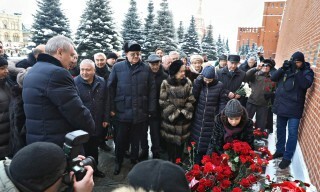 Then, according to the pre-launch tradition, the crews visited the museum of the Baikonur cosmodrome and left their autographs there. 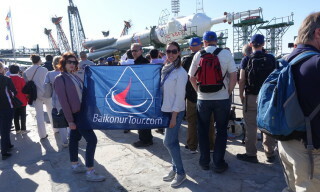 After the excursion in the museum, they visited the houses, in which Yuri Gagarin and Sergey Korolev lived in Baikonur. 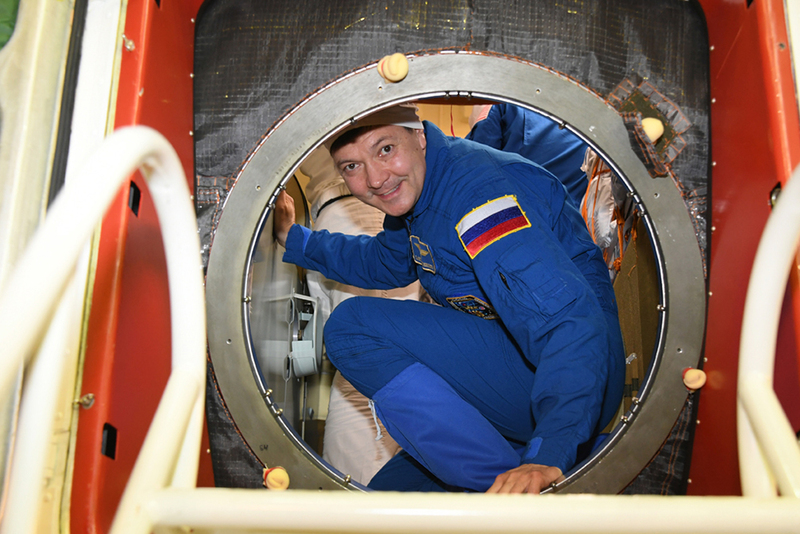 The first “fitting” of the “Soyuz MS-11″ spacecraft took place at the cosmodrome on November 20, during which the cosmonauts checked the tightness of spacesuits, familiarized themselves with the interior of the ship, including the placement of equipment.